Washington - The Army has given Sgt. Bowe Bergdahl a desk job, ending the formal phase of his transition from Taliban prisoner to not-quite-ordinary soldier, and setting the stage for Army investigators to question the Idaho native about his disappearance that led to five years in captivity. In a brief statement Monday, the Army said Bergdahl has been assigned to U.S. Army North at Joint Base San Antonio-Fort Sam Houston in Texas. Bergdahl has been decompressing and recuperating from the effects of captivity since his arrival there from a military base in Germany. Since he was handed over to U.S. special forces in Afghanistan on May 31, he has been debriefed for any possible intelligence he might have gleaned in his time with the Taliban. Otherwise, he has been gently coaxed back into a normal routine and a normal life, both physically and psychologically. Bergdahl’s case is one of the most extraordinary of recent times — for the length of his captivity, for his apparent decision to abandon his unit during a combat deployment, and for the controversy triggered by the circumstances of his release May 31. It’s not clear when Bergdahl will face investigators on the disappearance probe, whose findings will help determine whether the 28-year-old is prosecuted for desertion or faces any other disciplinary action. The probe is headed by Maj. Gen. Kenneth R. Dahl, deputy commanding general of 1st Corps at Joint Base Lewis McChord in Washington state. Numerous other questions are lingering, including whether Bergdahl will collect the estimated $300,000 in back pay he has accumulated over the past five years. Bergdahl walked away from his unit after expressing misgivings about the U.S. military’s role — as well as his own — in Afghanistan. He was captured by Taliban members and held by members of the Haqqani network, an insurgent group tied to the Taliban. He was released as part of a deal in which the U.S. gave up five top Taliban commanders imprisoned at the military prisoner at Guantanamo Bay, Cuba. The terms of the deal sparked a political storm in Washington. Some former members of Bergdahl’s former unit have labeled him a deserter, asserting that he chose to walk away and saying some were wounded or killed looking for him. The Army has not ruled out disciplinary action against Bergdahl, who was promoted twice during captivity, from private first class to sergeant, as a matter of standard procedure. Bergdahl’s exact administrative duties at U.S. Army North were not immediately disclosed, but a Pentagon spokesman, Army Col. Steve Warren, said Bergdahl is not restricted in any way. The Army said that in his assignment to U.S. Army North he “can contribute to the mission,” which is focused on homeland defense. “He is a normal soldier now,” Warren said. At the time of his disappearance, Bergdahl was a member of 1st Battalion, 501st Infantry Regiment, 4th Brigade Combat Team, 25th Infantry Division, based at Fort Richardson, Alaska. An initial U.S. military investigation in 2009 concluded that Bergdahl deliberately walked away, based on evidence available at the time. Bergdahl, whose family lives in Hailey, Idaho, arrived at the Brooke Army Medical Center at Fort Sam Houston on June 13 after nearly two weeks recuperating at a U.S. military hospital in Germany. 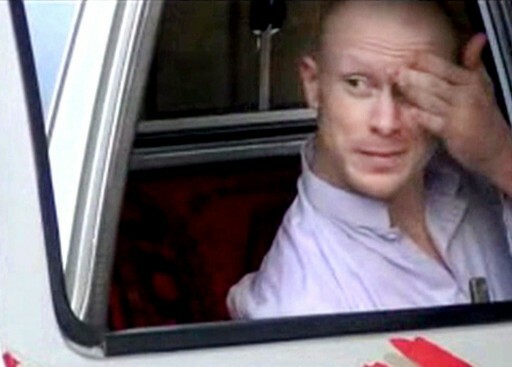 Warren said he did not believe Bergdahl has seen his parents since his return to the United States. Army officials have refused to discuss the question of Bergdahl’s contact with his parents, saying the family requested that it be kept private. The focus of his recuperation period in Germany and at San Antonio has been to prepare him for returning to normal life — a task made more complicated by the storm of controversy that erupted over the circumstances of his release and allegations that he deserted. He worked daily with health professionals to regain a sense of normalcy and come to grips with his new situation. Army officials had said that in recent days Bergdahl was allowed to go, with supervision, to a grocery store, restaurants, shopping centers and a library as part of the process of getting him comfortable with being out in public. Bergdahl is “able to participate in the same on- and off-post opportunities as any other soldier,” Don Manuszewski, an Army North spokesman, said Monday. Bergdahl has not commented publicly on the circumstances of his disappearance, and the Army has made no charges against him. The Army has said it is investigating Bergdahl’s disappearance and capture but that investigators will not interview him until those helping him recover say it is all right to do so. Warren said he did not believe that Bergdahl had met with investigators, as of Monday. Why is this news? He was released from the hospital and sent back to his unit. Now the Army can decide what to do next.